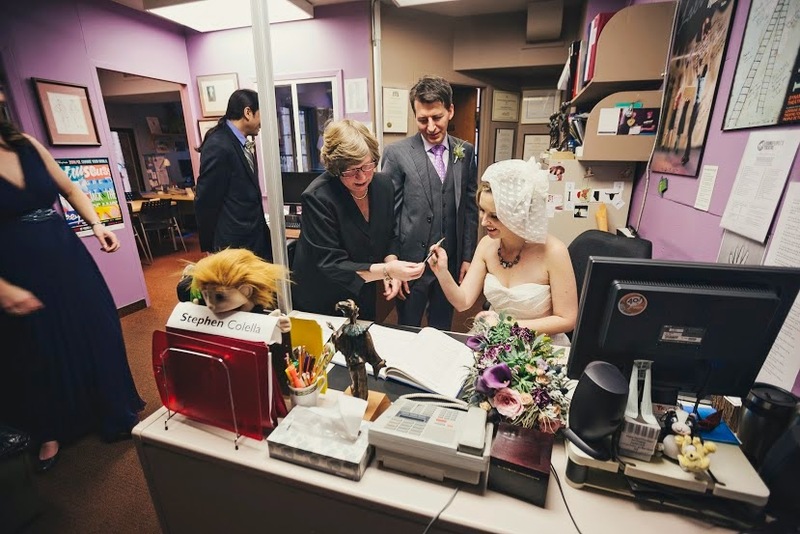 Here is an unusual venue - and an unusual view of the ceremony and the guests! 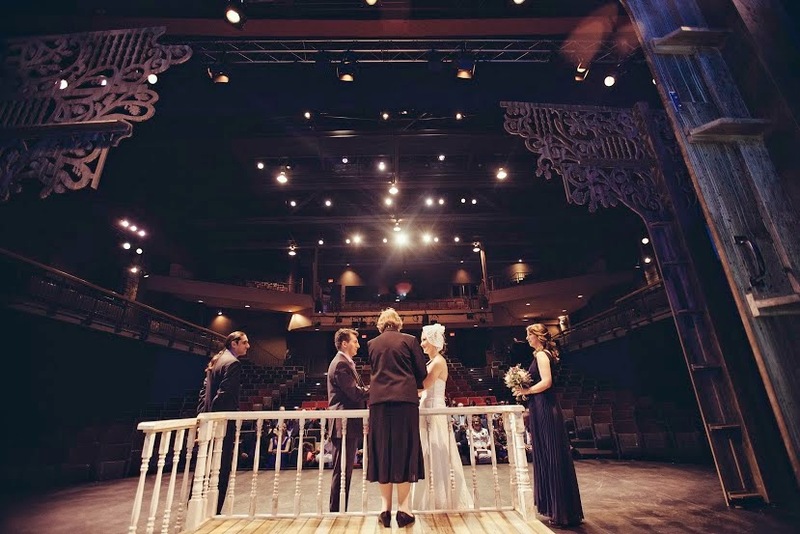 I had the privilege to conduct a wedding onstage at the Young People's Theatre for wonderful couple who work in theatre and entertainment. We are standing on the stage set for "To Kill a Mockingbird", thus the small town fence and the nice trees. 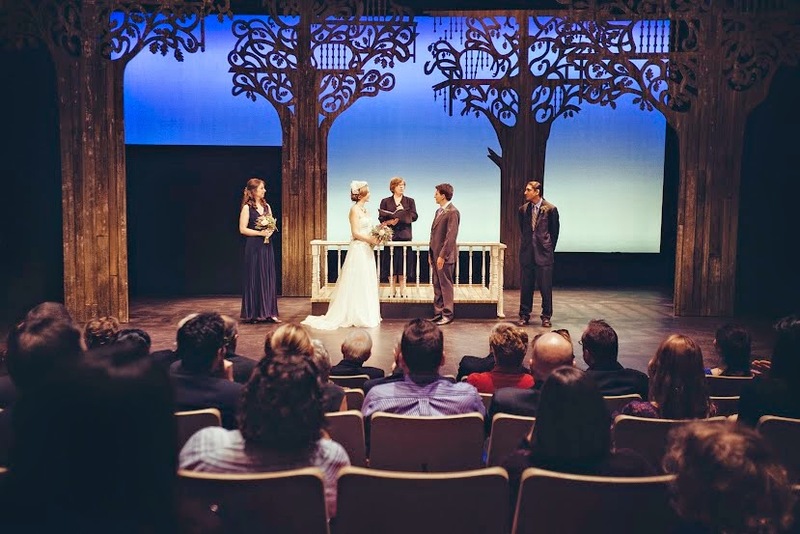 The wedding was held between performances. 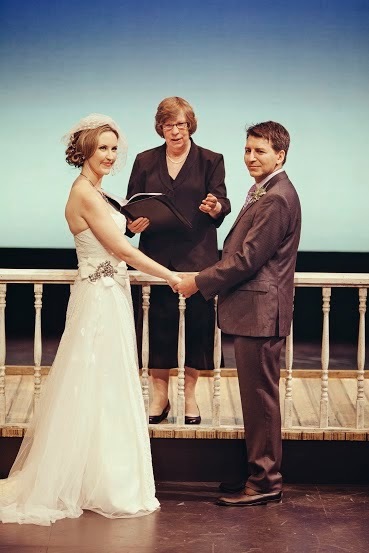 We even included a little 'play' written specifically for the couple by another friend as part of the readings. This was a wonderful experience, especially as my children work in theatre as well, so it was a chance for me to see the 'other' side of the stage!